24 October 2016 – In his last United Nations Day message as Secretary-General, Ban Ki-moon recognized the efforts of courageous UN staff members who are on the frontlines of disaster and violence and continue to respond to the plight of the vulnerable people across the world. “We have also suffered enormous heartbreak – including unresolved conflicts causing immense suffering throughout the troubled Middle East, South Sudan, the Sahel and beyond,” said Secretary-General Ban in his message on the Day, observed annually on 24 October, the anniversary of the entry into force in 1945 of the UN Charter. Mr. Ban said that major progress has been made towards a more sustainable future through the 2030 Agenda for Sustainable Development, as well as in addressing the threat of climate change, through the Paris Agreement, which will enter into force on 4 November, a record entry for any such global accord. “Across that historic threshold lies our best chance for greener, cleaner, low-carbon growth,” he said. 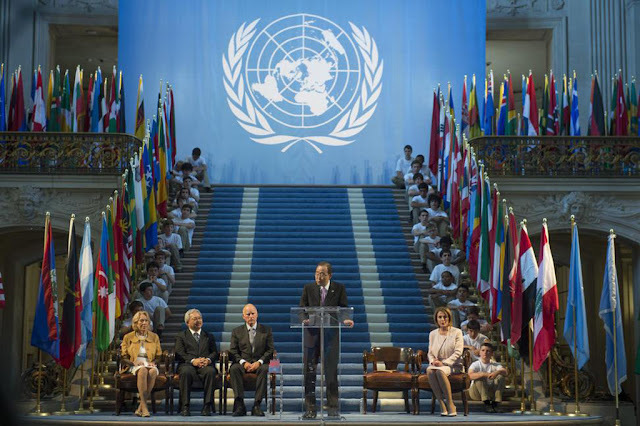 The UN chief further expressed that it was an honour to serve the world's people over the past 10 years and called on everyone to support Secretary-General-designate Antonio Guterres in continuing the Organization's global mission of peace, sustainable development and human rights. Mr. Ban's tenure as the UN Secretary-General comes to a close at the end of this year. In a separate statement, the President of the UN General Assembly, Peter Thomson welcomed the focus of the 2016 UN Day on real-world actions for a sustainable future. “I salute the fact that this year's UN Day will be used to highlight concrete actions that people can take to help achieve the Sustainable Development Goals,” said Mr. Thomson in a statement on the occasion. Under his Presidency, a key agenda of the General Assembly’s 71st Session is to achieve momentum in the implementation of the global goals. “[UN Day’s] observation is an annual reminder of the long and often difficult road [UN] Member States have decided to travel together. We are sustained by common aspiration as defined in the Purposes and Principles of the Charter,” he added in the statement. 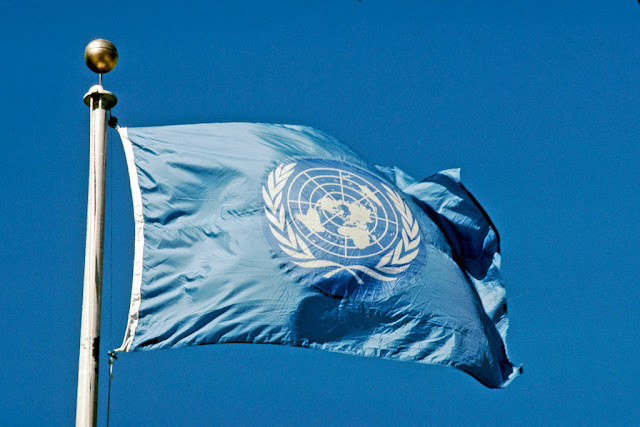 The 24th of October has been celebrated as United Nations Day since 1948. In 1971, the General Assembly recommended that the day be observed by UN Member States as a public holiday. As part of the observance of the Day, UN will highlight concrete actions people can take to help achieve the Sustainable Development Goals (SDGs). Also, the organization's Department of Public Information will organize a concert to celebrate and reflect on the work of the UN through the universal language of music. The event, will feature a traditional Korean music orchestra; world-renowned concert pianist and UN Messenger of Peace, Lang Lang; the Harlem Gospel Choir; the Hungarian State Opera with performances by soprano Andrea Rost; and other notable artists.